ME310 | Urban Mill – Building IntenCity! 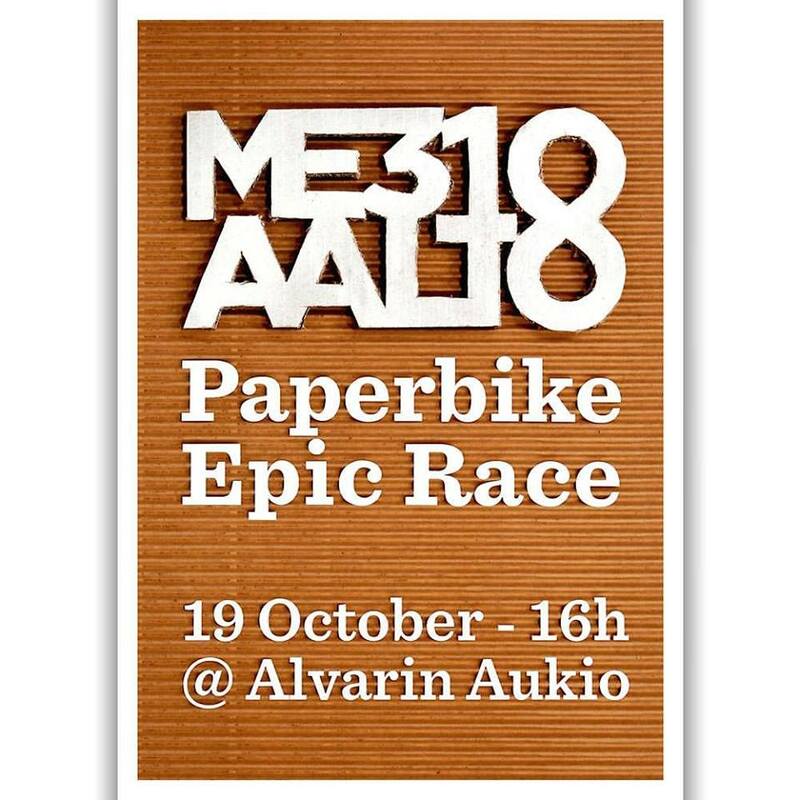 Today at the backyards of Urban Mill at 17:00: Join us for the annual ME310 Paper Bike Race! Teams of 4-5 students are given two weeks to build a ”bike” (meaning vehicle) made almost entirely out of paper products and compete in a given challenge. 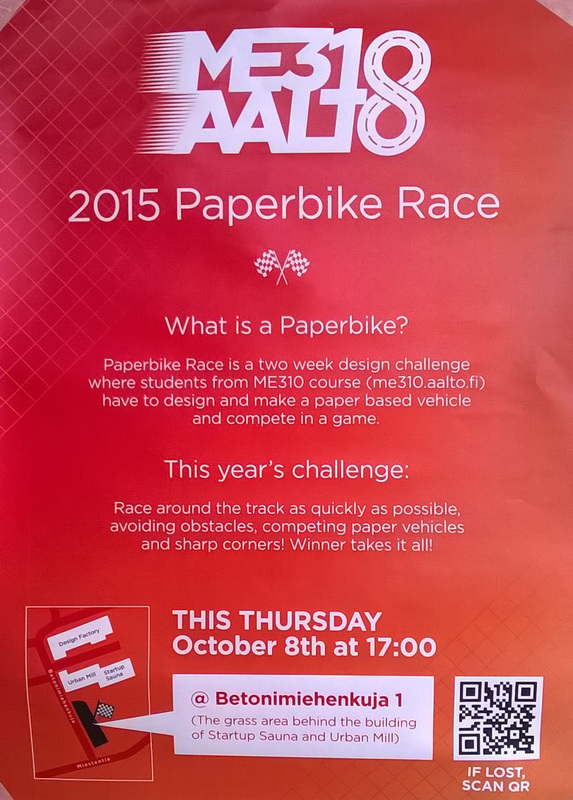 This year, the challenge is an actual race where paper vehicles will go toe to toe around a track with varying obstacles, with the goal of completing the race in the last amount of time. Students will compete in a ”F1” setting, first having a ”timing” contest determining their starting position in the actual race. They will then complete two laps of the course, where they will switch the rider and the pusher after one lap has been completed.